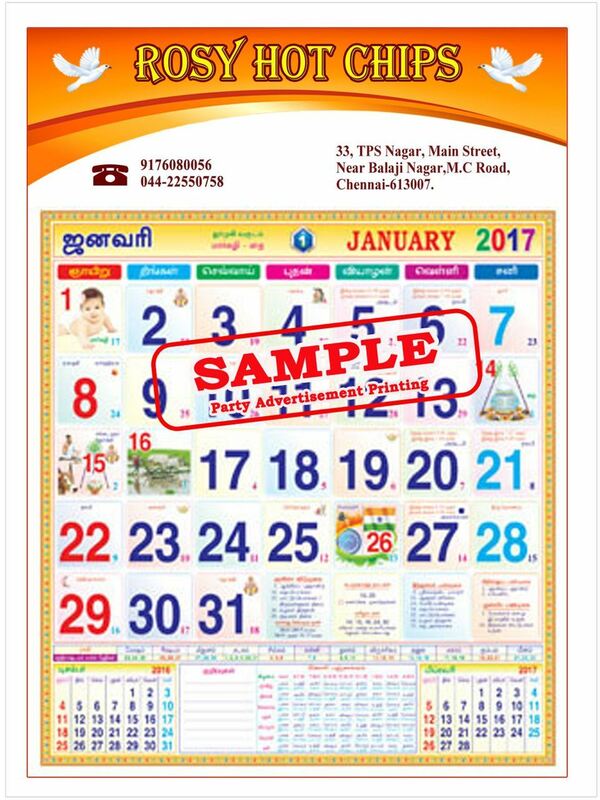 6 sheet Calendar. 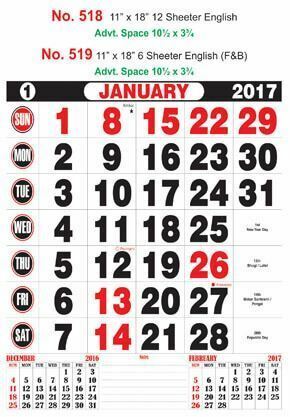 Each sheet contains one month. Upload the Party Advertisement to get printed on calandar, Cutomer article should be with in the advertisement size which mentioned in the Product image. Article is trimmed off/Resized if exceeds the mentioned size.